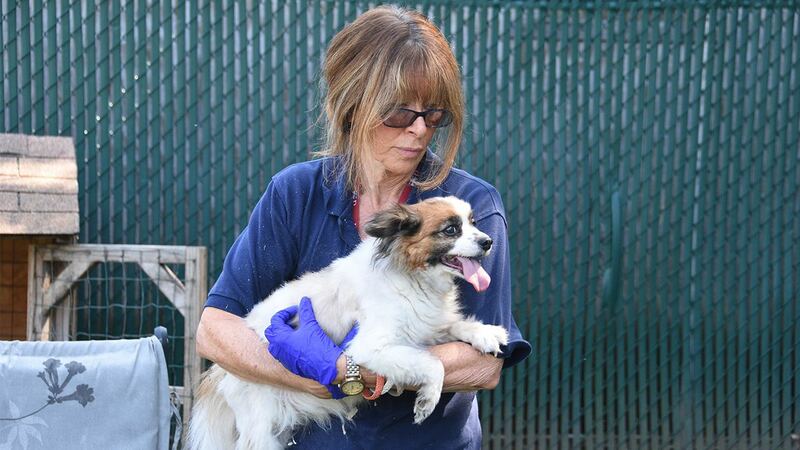 DIX HILLS, Long Island (WABC) -- What began as a fiery rescue at a home in Dix Hills, quickly became a furry rescue after cats and dogs were saved by firefighters Monday morning. 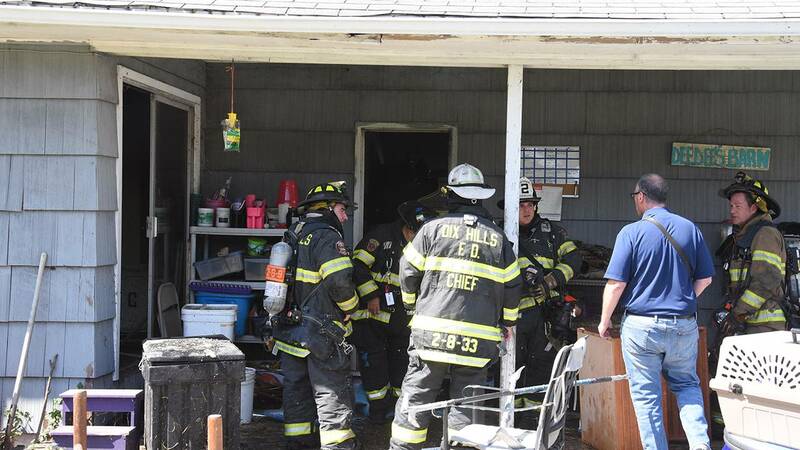 The Dix Hills Fire Department responded to a report of a house fire at a one-story home on Seneca Avenue just after 11 a.m. on Monday. 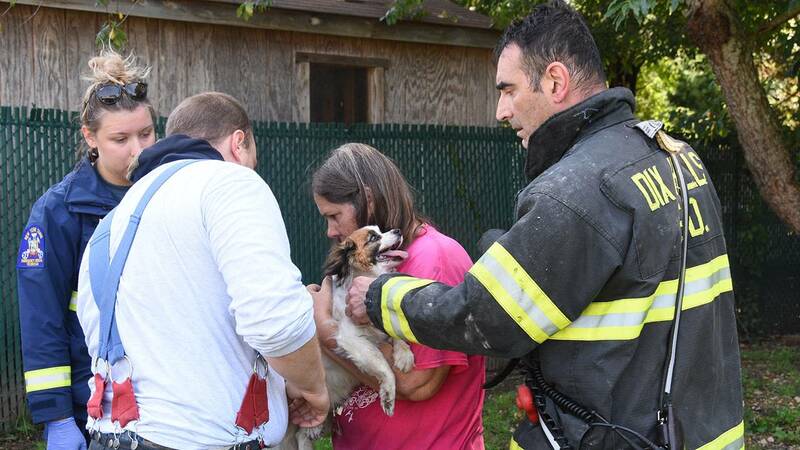 First responding firefighters were met with heavy smoke and fire in the kitchen, but were able to rescue three dogs and three cats that were trapped inside. Firefighters had the blaze under control within 40 minutes, and most of the fire had been contained to the kitchen. 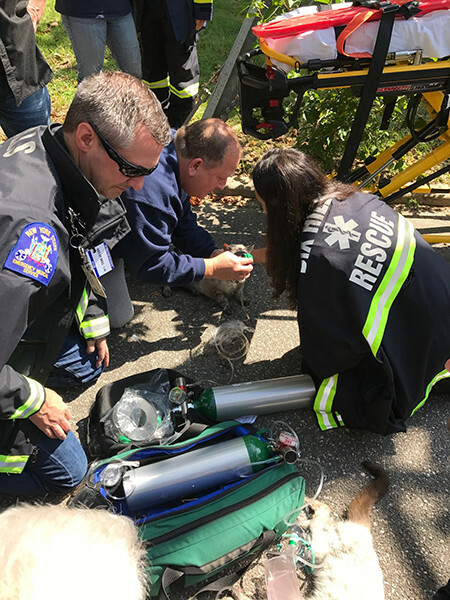 EMTs from the Dix Hills Rescue Squad and a veterinary technician from the Melville Fire Department were able to treat the animals using special pet-sized oxygen masks. 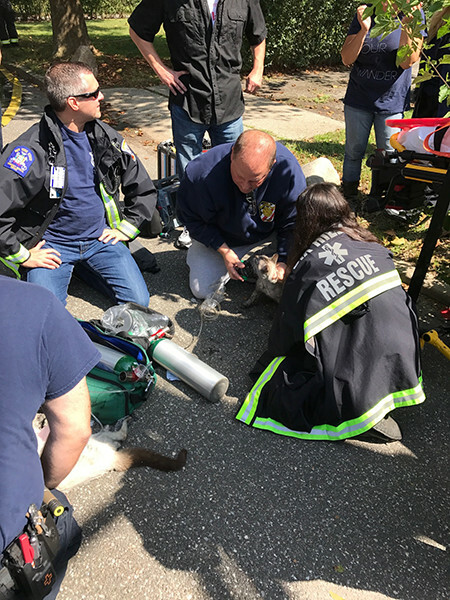 The three dogs were treated at the scene for smoke inhalation, while two of the cats suffered burns and smoke inhalation and were taken to an animal emergency hospital in Commack. Unfortunately, the third cat did not survive. The homeowner was taken to Stony Brook University Hospital to be treated for minor burns and smoke inhalation. 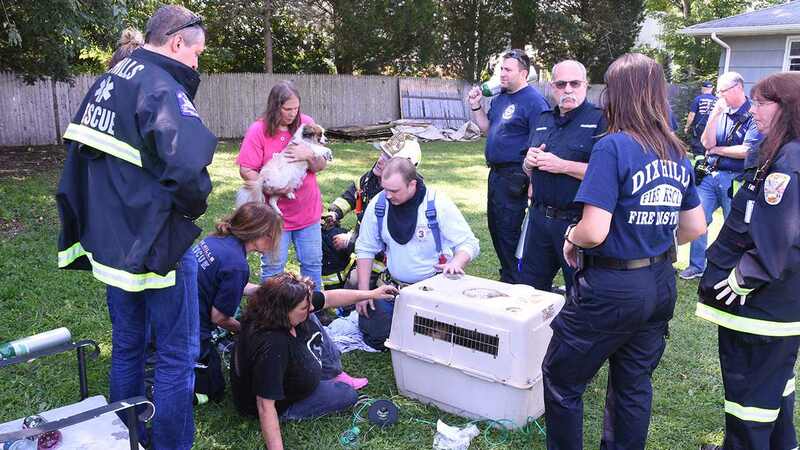 In total, about 60 firefighters and emergency medical personnel were on the scene with seven trucks and three ambulances to assist with the fire rescue and treatment of the animals. 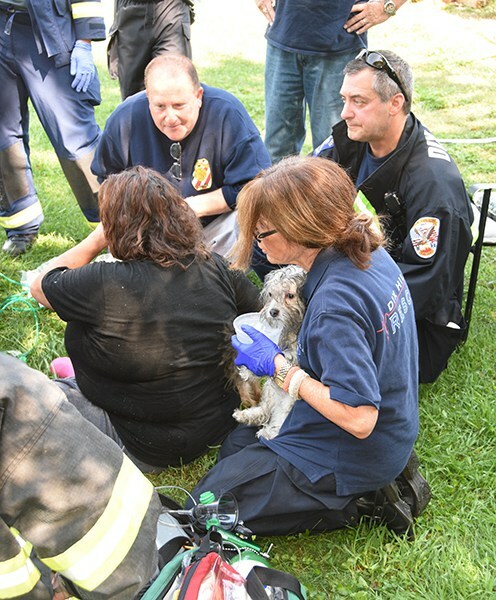 Assistance was also provided by the Commack, Deer Park, Melville and Greenlawn fire departments and Suffolk Police. The cause of the fire is under investigation by the Suffolk Police Police Arson Squad and Huntington Town Fire Marshall.